From cool cuts to innovative prints, we pick some of our favorites from the collection. 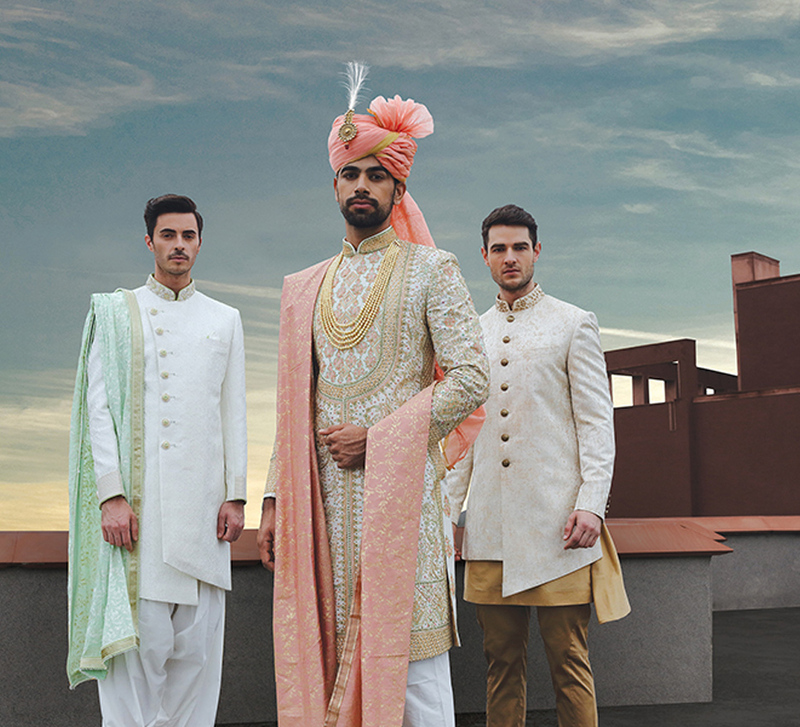 Indian grooms are no longer opting for the same old boring cuts and colors for their big day. 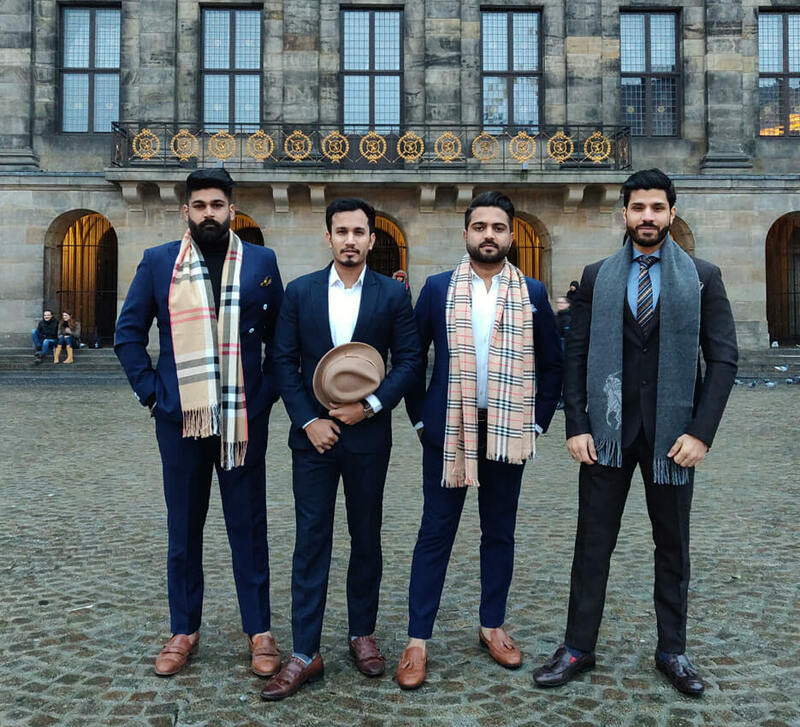 To cater to this increasingly sophisticated target audience, Manyavar’s ‘The Virat Collection’ boldly goes into the fashion-forward arena of cool cuts, innovative prints and striking silhouettes. Timeless favorites such as sherwanis and kurtas get hip makeovers with elements like asymmetrical hems, eye-catching buttons, and sophisticated color combinations. We present some of our favorites from 'The Virat Collection' here. 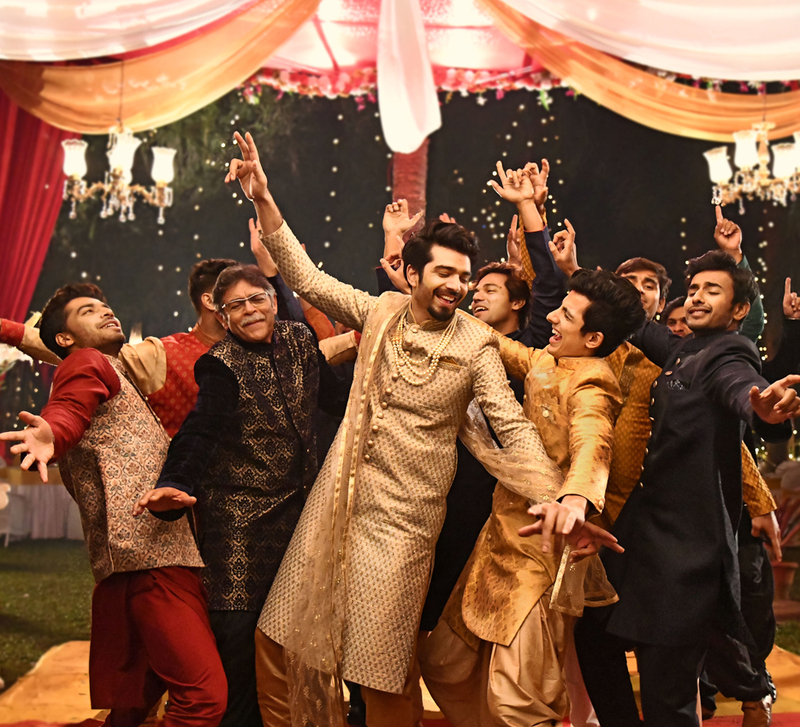 A groom’s attire for the sangeet has to be formal yet fluid and comfortable for all the dancing he will be doing! These regal kurtas - in dark blue and black - paired with lighter trousers look striking with their unusual cuts. Chic to look at and comfortable to move or dance in, these will make a groom the center of attraction at the sangeet which he deserves to be. If a bride picks her most ornate ensemble for the wedding, why should a groom be left behind? These sherwanis in sophisticated and refreshing colors like powder pink and pistachio green glimmer with gold thread embroidery that can rival a bride’s designer lehenga. Teamed with elegant stoles and embellished with standout buttons, pockets, layers and lighter trousers, these make for the complete regal package for the all-important wedding ceremony. Colorful decor and the mehndi ceremony go hand in hand at Indian weddings, so these vibrant kurtas are perfect for this fun function. From the cheery hand embroidered yellow one to the red one packed with intricate motifs, these kurtas which are paired with lighter trousers and black shoes will have a groom feeling light, comfortable yet compellingly chic! Luxury dressing is the stamp of this asymmetric royal blue Indo-Western outfit with a velvet dupatta or a midnight blue suit in a textured fabric that evokes a Western silhouette layered with a rich Indian sensibility. Tailored to perfection, these ensembles are ideal for a glamorous reception. Simply team it with classic black shoes - and a groom is all set to be the cynosure of all eyes. 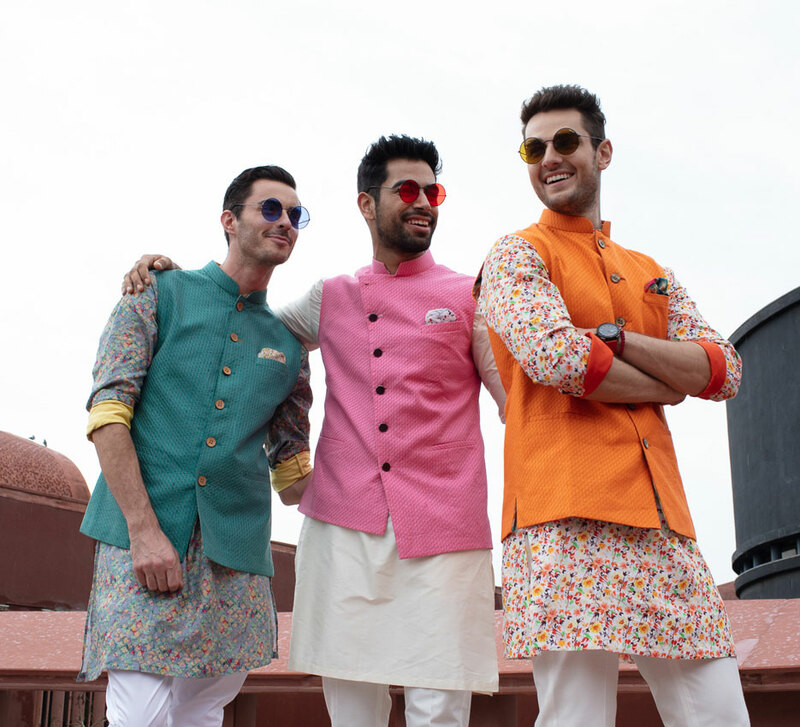 To shop 'The Virat Collection' find the nearest Manyavar store here.